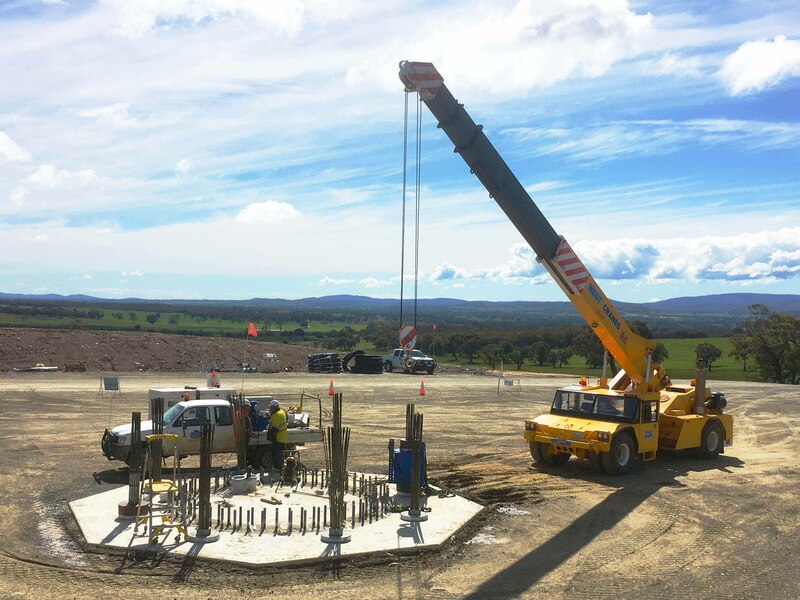 With Construction well underway at the 132MW Mt Gellibrand Wind Farm, West Cranes & Access Hire have been a major contributor throughout the development and construction of the $258 million Wind Farm Project, 25km east of Colac in southwest Victoria. West Cranes & Access Hire have provided an array of services and hire equipment such as: All Terrain Mobile Cranes, Pick & Carry Cranes, Rigging Services, Truck Cranes and a variety of other hire services. With a renewed focus on ‘Clean Energy’ and green house omissions, The Victorian State Government have promised to invest and deliver on its renewable energy targets for the state of Victoria. With much of the focus on wind energy. Not only will this be massive benefit for our environmental footprint and ‘back pocket’. Wind Energy and the construction of Wind Turbines will create an economic driver for the region over the next 25 years and beyond, creating over 100 local jobs in the construction phase, and up to 10 operations and maintenance roles to continue for decades ahead. West Cranes & Access Hire would like to acknowledge the strong contribution of the local community and throughout the project. Without their support the project would not have been the success that it is. Local Communities are pivotal in the contribution and acceptance of Renewable Energy, particularly wind farms.